ViCi Gaming - The End Of Tyloo's Dominance? The Chinese Counter-Strike scene had been stagnant for far too long when it came to the upper echelons of the region. But recently there has been a huge shift in this order, Tyloo, the face of Asian counter-strike have been toppled off their throne by the tenacious ViCi Gaming. ViCi Gaming has noticed a massive rise in its rankings all due to a series of phenomenal performances at various international events. The team has really come together as a solid unit in a very short duration working in perfect tandem with each other to achieve this distinction. After a slump in their performance during the end of 2017 which stretched onto 2018, the Chinese organization thought of merging their assets with those of another organization called Flash Gaming. The deal resulted in the formation of VG.Flash Gaming. Though the team fared well during the start it started to lose momentum soon after, leading to a lot of conflicts arising within the team. The partnership did not last long as the two teams fell apart with Flash acquiring both zhokiNg & Freeman from ViCi on loan. ViCi Gaming was on the brink of collapse with their name nowhere to be found amongst the top Chinese teams any longer. ViCi had to do something soon to make a comeback into the scene before it lost its grip and relevance. So on 3rd September 2018, ViCi Gaming revamped its roster and this was the turning point for the Chinese organization, this is where their journey to hunt Tyloo down truly began. 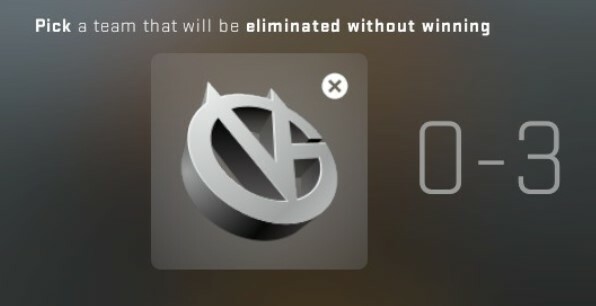 The new ViCi roster consisted of zhokiNg, Freeman, aumaN, advent and kaze. The senior trio of zhokiNg, aumaN and advent was crucial to the team's success, they were the one with the experience to strategise a super-aggressive style of gameplay which was similar in ways to that of Tyloo but their ability to pull back from fourth gear to neutral in an instant was what set them apart from their adversary. This kind of playstyle is what made kaze a perfect fit for the team, the Malaysian player is the ‘Asian kennyS’ who adopted the role perfectly. Freeman is a beast with a rifle, the young prodigy has a lot of potential and has already stepped up to become the ace for his side. The team went on to qualify for multiple international events like ESL Pro League Season 8, IEM Katowice 2019 - Asia Minor, Third Place Play-In and the New Challengers Stage. The journey started by qualifying for ESL Pro League Season 8, the team did not perform all that well at the Main Event losing to both Astralis and Renegades but the fact that the team came all the way there through the Chinese Open Qualifier was a big win in itself. The team was formed just 20 days before participating in the qualifier and they beat almost all the big regional competitors to reach the Main Stage. Shortly after this, the team qualified for IEM Katowice 2019 - Asia Minor through the Chinese Qualifier. Placing third at the minors the team went onto face North in the Minor’s Third Place Play-In where they took down the Danish powerhouse not once but twice on the same day, making their way on to the New Challengers Stage. At this stage, it was clear that ViCi Gaming had hit the right notes and was on their way to do something special but critics still had their doubts, citing their victory over North as the Danish teams own fault. All were proved wrong as ViCi went on to defeat both Fnatic and Cloud9. The heavy underdogs had destroyed the Pickems for almost everybody and marked themselves as an upcoming threat if they kept the same level of competitiveness within themselves and kept practising even more in the coming months. Though ViCi were not able to make it through to the New Legend Stage, they had done enough for now. The team who was nowhere to be seen in HLTV’s top 30 teams in the world before the start of the Katowice Majors are currently placed at the 23rd position, two ranks above Tyloo. ViCi Gaming has turned a new page belonging to the same old diary. They took their time to commit but once the goal was set there was no turning back and what better results than to dethrone Tyloo and take their spot as the best team from Asia. ViCi has truly achieved a lot with their new line-up in such a short span of time, let’s see how long the team can maintain its exposure on the global rank list.